This beautiful ranch style home is conveniently located in the desirable University Park neighborhood. Enjoy soaring ceilings and stunning hardwood floors and plantation shutters throughout the main level. The bright, open kitchen features a large island, tile and granite counter tops, a large pantry and breakfast bar. You will have plenty of room to entertain guests in the large living and dining room areas. Cozy up next to one of the two fireplaces this home has to offer on a chilly Colorado night. Beautifully cared for with a fully finished garage including a pull down attic ladder, built in storage and garage vacuum and TV. Walk out on to the large composite deck with scenic views of Austin Bluffs Open Space. The finished walk out basement has a massive recreational room with walkout and surround sound speakers. There is space to move the laundry to the main level if desired. 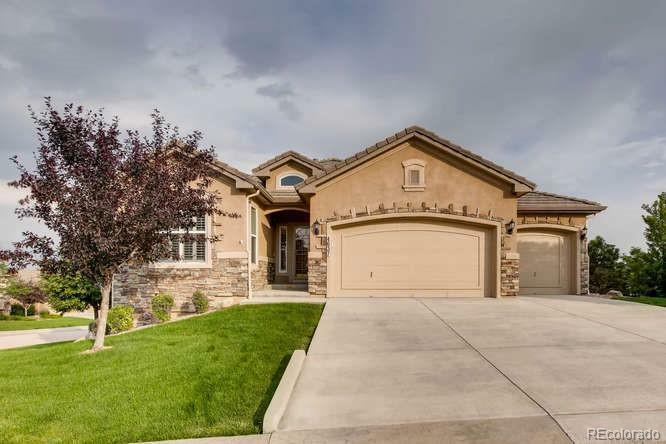 Come and check out all of the unique features this move-in ready home has to offer! Offered by Parker St Claire Realty.